Even More Stuff Natasha Wants to Buy! Designed by MOMA, made by Chronicle, can anything get more awesome? This cool, compact box opens up to 6 nesting boxes that work as walls, 8 mix-and-match furniture pieces, 12 removable vinyl clingy stickers of furniture and accessories. There are endless combinations to make any room of a house and use any dolls, Japanese erasers or whatever tiny bits you have lying around to play pretend. Also, we have gotten gobs of new Legos in! How do I even pick one??? Atlantis, Bionicle and Ben 10 Alien Force sets for one and all! I kinda like the Humungousaur. Maybe he can smash my new MoMa house? Also brand new, also dinosaur(ish), is this super cute hand puppet from Gund. It is made of corduroy material and is very hungry. Rawr! 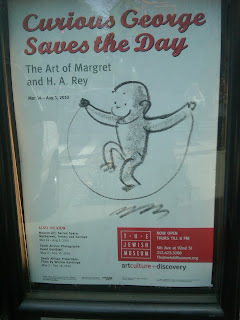 Our owners visited New York recently for a college trip and saw the Curious George exhibit at the Jewish Museum and loved it! And who said college trips were all about the kids? Don't forget to read the New York Times review of the exhibition: Monkey Business in a World of Evil. In other exciting famous people news, we had a surprise visit from husband and wife team David Small and Sarah Stewart! They were speaking to a class at Harvard, and were kind enough to come say hello to us and sign some books! We already had a run on The Gardener and Stitches, but you can still get signed copies of My Senator and Me (illustrated by Small) and The Underneath (a chapter book, illus. by Small). They are such kindly, talented people and they have a manor with a farmhouse studio! Whoever at Sterling Publishing is reviving more and more Gyo Fujikawa picture books, wherever you may be, know that you are loved and appreciated and praised to the high ceilings of Curious George. I can't get enough of her rotund, cheerful babies. And fuzzy, rotund creatures. And soft grass and squishy mud puddles. And did I mention the rotundness? Happy Earth Day! An exhaustively epic eco-friendly round-up. We all know "Earth Day is every day," but it never hurts to be reminded to be gentle with the environment! Here are some great book, toy, and activity choices for everyone in your family, from baby on up. 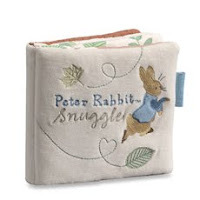 We've recently started carrying Peter Rabbit Naturally Better books, and while the whole line is too cute to resist, my favorite is the Peter Rabbit Snuggle flannel book. You're never too old for a soft-as-a-bunny book/blankie made of non-toxic, organic materials, right? While you're in the baby room convincing yourself to stop snuggling Peter Rabbit Snuggle, check out the Peter Rabbit Naturally Better Baby Record Book, Classic Gift Set, and board book series. All are illustrated in a pastel collage style which is fresh and faithful to Potter's original watercolors. 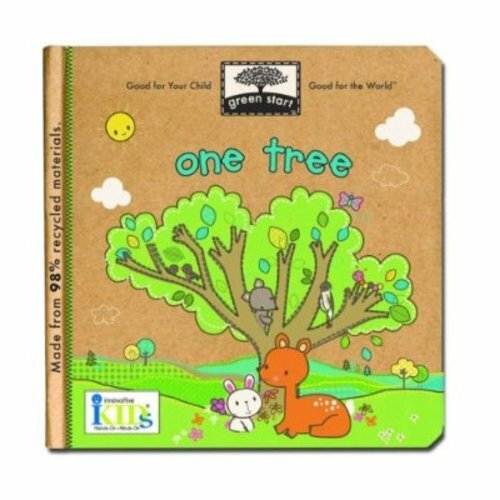 Start environmental education early with a recycled board books that's eco-conscious both in message and medium. 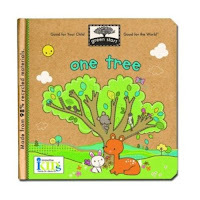 Leslie Bockol's One Tree -- part of Innovative Kids' Green Start line -- connects a single tree to a complex web of life, large and small. Check out the publisher's website for more green tips, activities, and games. Miyim "simply organic" cotton baby toys are adorable and eco-friendly! 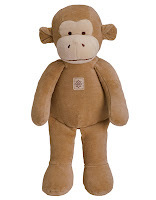 Their cuddly bears, bunnies, monkeys, hippos, and giraffes are made from incredibly soft, certified organic and non-toxic cotton fabric, dyed with all-natural plant colors, and come in recycled packaging. You'll find plush and blankies in the baby room. 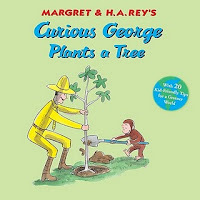 Our monkey friend goes green in Curious George Plants a Tree. After learning about recycling at the science museum, George decides to participate in an upcoming recycling rally. Being George, he gets carried away -- and gets into trouble. 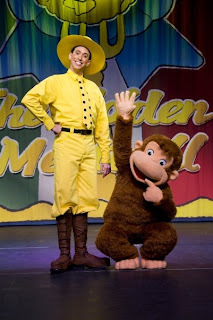 Fortunately, his good intentions (and a little help from the man in the yellow hat) smooth things over. Twenty tips for helping the environment are included. Also try The Berenstain Bears Don't Pollute (Anymore). We have a whole line of Green Toys, who call their dump truck "the most energy-efficient vehicle on this or any other planet." It's made from 100% recycled milk jugs! Primary colors and rounded edges make this truck extremely toddler-friendly as well as earth-friendly. Tugboats for bathtub, pool, or puddle come in three different color combinations. Add on a spout for even more water fun. The 15-piece tool set includes screwdrivers (flat and Phillips), hammer, pliers, wrench, saw, an assortment of nuts, bolts, and nails, and a kid-sized tool box. All Green Toys are made of recycled plastic milk jugs, packaged in minimal recycled/recyclable boxes with soy-ink printing, and conform to a loooong list of toy safety and environmental standards. A classic games get a makeover with Schylling's Panda's Pick Bamboo Games. The board for this Mancala game is bamboo, which is organic, sustainable, and biodegradable. The set is also light-weight and compact, perfect to take on the go. The Eco Saucer is green literally and figuratively. 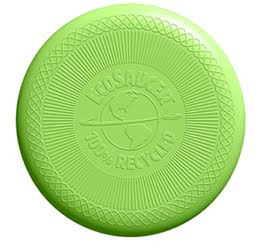 This lime green Frisbee is made of recycled milk jugs like its fellow Green Toys brand items, plus it has ideal Frisbee size and weight. No wimpy throws with this one! It also has their doggie mascot Marlow's paw of approval for fetch. Our staff members have been coveting the reusable drinking bottles by Crocodile Creek. The food-grade stainless steel bottles are decorated all over with the solar system, dinos, trucks, animal tracks, flowers, and lots of other fun options in the distinctive (CG-beloved!) Croc Creek illustration style. At 13 ounces, they're perfect to tuck into a matching Crocodile Creek lunch box! The bottles are fully recyclable, lead-free, phthalate-free, and BPA-free, and ALSO conform to or exceed U.S. and European safety standards. Whew! 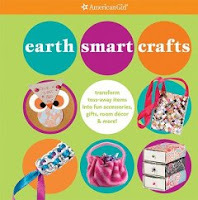 Earth Smart Crafts by American Girl teaches eco-savvy tween girls how to refashion disposable items into gifts, jewelry, games, and room accessories -- all while reducing waste. (Pair it with That Girl Lucy Moon, Amy Timberlake's novel about activist Lucy's experience starting junior high. Which will she choose, activism or popularity?) The Cutest Nature Book Ever!, also by American Girl, is packed with nature-themed craft ideas, bird- and cloud-watching logs, and outdoor writing prompts. Both books are inspired by the newest American Girl, local-to-Boston Lanie, whose love of nature and science make her a great green role model. Scientist, nature writer, and activist Rachel Carson published her pollution study/expose Silent Spring in 1962, virtually single-handedly launching the environmental movement. In her book, Carson reveals the devastating effects of pesticides and herbicides on wildlife and on humans. While some of the specific chemicals Carson writes about (like DDT) are now banned, the dangers of pollution are still highly relevant. Carson cites study results projecting that one in every four people will develop cancer in their lifetime; fifty years' worth of carcinogens later, that number is considerably higher. 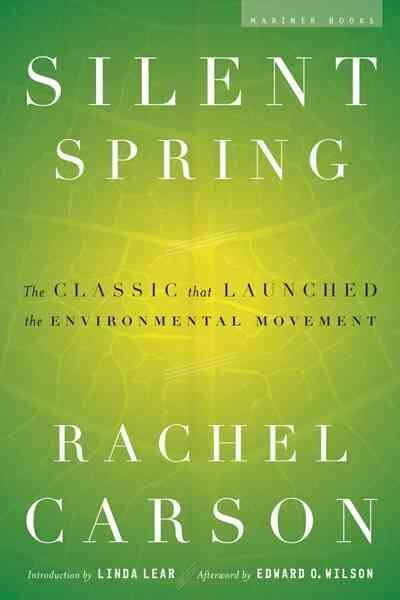 Sadly, Rachel Carson herself died from cancer not long after Silent Spring was published. This is just a SMALL sampling of the many eco-friendly items we carry -- maybe I should have called it an "exhausting" post rather than an "exhaustive" one! Keep checking back for more. One more thing: the Cambridge Green Streets Initiative has a Walk/Ride Day on the last Friday of each month. You may notice Walk/Ride Day info at our events, most recently at this weekend's Bookish Ball. Green Streets brought in their "10 in '10" passport, which makes a game of utilizing public transportation, to ride ten different Boston MBTA buses this year. Pick up a passport here, go green (by walking, riding your bike, carpooling, or taking public transportation) as much as you can, and be on the lookout for some Walk/Ride day fun in the near future! More Stuff Natasha Wants to Buy! Happy Earth Day! Katie has been cooking up a super-sweet Earth Day post, so none of this stuff is explicitly green, but I still think it's pretty earth friendly. Each of these toys invites you to use stuff you already have around the house to have even more fun with them. Enjoy! This little cottage is my favorite of a new crop of awesome German imports we've gotten in the story. There's not just a house, but also a T-Rex, a fire engine, and lots more. These flat cardboard pieces (great for traveling) are white and color-able. You can design your own house, by choosing your favorite colors, and when you're done, build it up and start your own doll village! 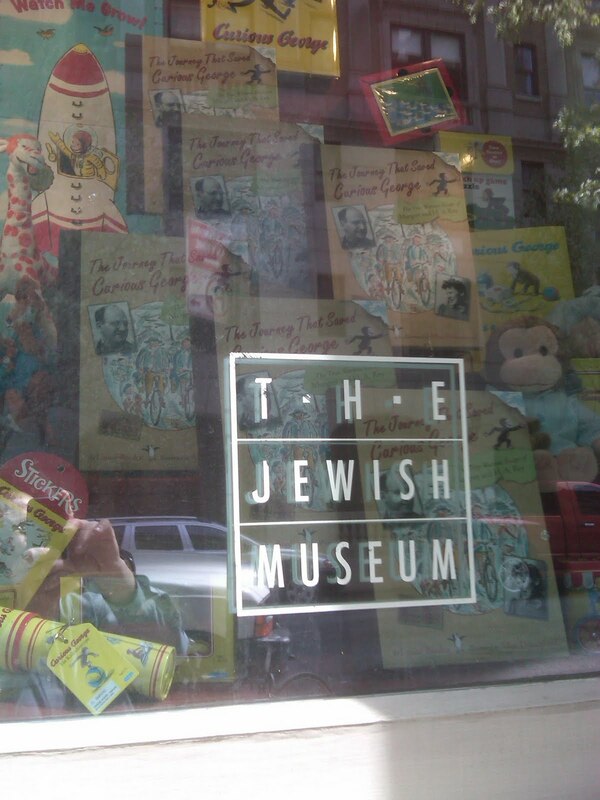 This kit has everything you need to get started on making your own Sock Monkeys and monkey-friends. The instructions in this book are simple to follow, a fun way to learn basic sewing skills, and a fun craft that you could use to re-purpose old socks and fabrics laying around the house. There are some really clever designs in here, at all levels of difficulties, from a cute squirrel and bunny to a wee little wise owl. Too cute! A great way to keep in touch with friends and be creative, this small book of 30 postcards has a minimal black and white line illustration by Taro Gomi, and a prompt for you to finish it. 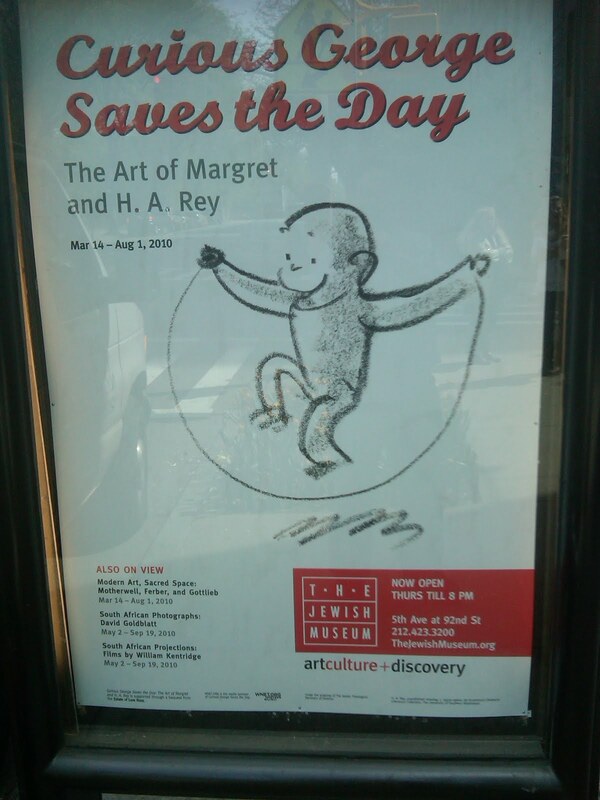 For example, on one postcard, there's a boy with a leash, and you're supposed to fill in what kind of pet the boy has. Then tear out your magnificent creation, stamp it, and send it off! The paper is great quality, and crayons, pencils, markers and pens would all work well on it. In addition to a time of tulips and mud-luscious puddles, April is Poetry Month! You can celebrate with poems hilarious or poems dolorous, poems tall or poems small...whatever poem suits you, shout it all the time (they don't even need to rhyme). For older humorists, The Tighty Whitey Spider by Kevin Nesbitt is full of "wacky animal poems" about yaks playing basketball, a lost chameleon, and of course, a spider that gets a tighty whitey wedgie (to the tune of the Itsy Bitsy Spider). You can download the poems as read by the author on the book's website. Also try Nesbitt's second collection, My Hippo Has the Hiccups. The Tr ee That Time Built takes a different approach to poetry. This collection, edited by our current Children's Poet Laureate, Mary Ann Hoberman and Linda Winston, a teacher, contains dreamy, wondrous poems about science and nature. The sections are divided into topics like "Prehistoric praise" and "Everything that lives wants to fly." The book includes an audio CD with selections of poetry and a glossary of terms. My ab solute favorite for teens is Poetry Speaks Who I Am, edited by Elise Paschen. I do love the Poetry Speaks project, and this is an incredible collection. The poets range from contemporary to classic, and the organization is brilliant: Robert Frost's "The Road Not Taken" across from Samuel Menashe's "Prowess", Shakespeare's sonnet # 130 ("My mistress' eyes are nothing like the sun..") alongside "Litany" from Billy Collins. Of course, an audio CD of selected poems is included. If you've missed earlier books from this series, try out Poetry Speaks to Children, also edited by Elise Paschen and Hip Hop Speaks to Children, edited by Nikki Giovanni. Since Ap ril is also Roald Dahl month, we can't forget Dahl's various collections of poetry! His chapter books are known for their bizarre humor and kind of gross weirdness, and his poems don't disappoint there. Revolting Rhymes are retold fairy tales in which the heroes or heroines are necessarily always heroic (Jack escapes the Giant in the beanstalk because he finally bathes!). Also try Dirty Beasts, or Vile Verses, which contains both Revolting Rhymes and Dirty Beasts and poems from the chapter books. In addition to these choices, we have a whole poetry section with other anthologies and collections ranging from Mother Goose, Stevenson's A Child's Garden of Verses and individual poet selections. For beginning poetry enthusiasts, I recommend the Poetry for Young People series; they are short, illustrated books from writers such as Robert Frost, Emily Dickinson, Lewis Carroll, and so on. Boy, do I have some new gnus for you! Alex, loved for its creative and colorful toys, has expanded its line of great bath toys. In addition to the ever-popular bath crayons, "basketball" hoops, instruments, and water squirters, now you can enjoy Fishing in the Tub, where an intrepid bather can hook foam fish, and the Tub Coaster Traffic Jam, a floating automotive version of those bead mazes everyone knows and loves (See our baby room for Melissa & Doug's wooden versions!). With the return of bugs and flowers and sunnier afternoons (oh my), it's a perfect time of year for Melissa & Doug's gardening tools! Their garden line, Sunny Patch, has all manner of toys for outdoor exploration from trowels, hoes and rakes to gloves, magnifying glasses and butterfly nets, in super colorful themes like Happy Giddy (orange and green bugs) and Blossom Bright (pink and yellow flowers). Send yo ur kid to their next slumber party with a bright (we're talking fashionably neon) and soft over-the-shoulder overnight bag from Sassafras. These totes are decorated with a plush sea critter cutie, like crabs, mermaids or sea horses. For first-time or seasoned toddler travelers, Sassafras has pull-along animal bags: probably the cutest thing on wheels since the cave man era. Your choices include zebra, puppy, giraffe, and leopard (yowza!). Our newest addition to our Hello Kitty section are Kimmidoll collectible figurines. 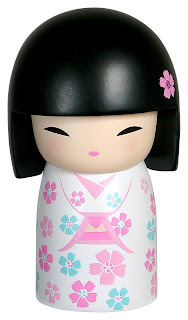 These small dolls are only two inches tall and wear adorable kimonos. Each character represents a particular value or wish. For example, Yoko is "Positive": "My spirit is noble and inspires confidence. By honoring your word and living true to the noble, you will inspire confidence and respect." Give these tokens to your friends and family, or start your own collection. For your older friends, there's plenty of new things in our chapter book room too! Who do esn't love a good spy? Hone your espionage skills with Slinky spy kits. The Spy Hawk Night Vision headset comes with a "night vision" red light and a microphone to amplify sound. You'll be taking missions from Bond's M before you know it. Crafty types will love the latest activity kits from Klutz. Fashion origami gives detailed instructions and wildly patterned papers to create outfits in the Harajuku style (mixing together colors, patterns, and fashion styles to create a totally original look). Klutz Animation shows you how to make stop motion movies with regular household items; it even includes a packet of plasticine with which to make clay figurines. Since I can't not tell you about books, here are some new titles we're super excited about! You lo ve her Mother Goose, fables, and especially her baby and animals board books...now there's a reprint of Gyo Fujikawa's Oh What a Busy Day! This collection is full of her round-cheeked, expressive toddlers, silly and serious rhymes, and tons of little vignettes to pour over for hours. And I promise you, you will want to come back to this book again and again, and each time you'll find another surprise in her drawings. Our staf fers Natasha and Miruna are ecstatic that Jean-Luc Fromental and Joelle Jolivet have a new, giant picture book out: Oops! It's big, bold, and bright like 2006's mathematical comedy 365 Penguins. (How many times do you encounter that genre?). Oops! follows the chaotic chain of catastrophes of a family trying to get to the airport on time, and even includes a cause-and-effect explanation in the back. Our staffers are extra ecstatic that Jolivet will be at the French Library and Cultural Center on April 29th! Speaking of math, there's a great new picture book biography of Leonardo Fibonacci written by Joseph Dagnese. Blockhead tells the story of young Leonardo, who was called "Blockhead" because he was always daydreaming about numbers. Despite their ridicule, this young daydreamer continued to do what made him happy and so grew up to discover number riddles and mathematical patterns in nature that scientists still use today. There are plenty of good biographies for kids about famous politicians, inventors, and athletes, and it's great to see a good, coherent one about a mathematician! My last pick of new books is for all the Percy Jackson fans out there. The incredible paper-working duo Matthew Reinhart and Robert Sabuda have a new installment in their pop-up Encyclopedia Mythologica series: Gods and Heroes. As always, the paper design is gorgeously detailed and vibrant and the writing is clear. The legends are from civilizations around the world, including Egyptian, Norse, Native American, and Polynesian. Stuff Natasha Wants to Buy! It's so beautiful outside today, but even the nicest days need awesome adventuring accessories, or at least art supplies to immortalize the beautiful sites of the city transforming into spring! This adorable journal set comes from one of my favorite illustrators, Susie Ghahremani. You unfold this little plastic case like a wallet to expose three different journals with three different designs on the outside. The inside of the journals have hand drawn lines for a cutesy feel. Two of the journals are lined and the third is grid paper. This art set has it all: 18 colored pencils, 12 oil pastels, 8 watercolor cakes and 1 each; paintbrush, sharpener, eraser. The outside is a great kraft paper material so you can decorate it yourself! ...because time is running out to pick up vouchers for FREE TICKETS to Curious George LIVE!, coming to Tsongas Center in Lowell next weekend. Don't worry, though; if you miss the freebies, we do have coupons for discounted tickets as well. It's so SUMMERY outside! Enjoy it while it lasts (this is New England we live in) and read some great books outside on your favorite plaid blanket! Fairies, like people, are not perfect. And Flory, a tiny fairy with a big personality, has one serious handicap: she has lost her wings! But she is determined not to let this imperfection keep her doing magical fairy tasks like taming a squirrel, saving a hummingbird's life, and eluding a sinister spider and ravenous raccoon -- all in one night! This is history seasoned with a lot of humor, adventure, danger and bizarre characters. Homer is a boy on a mission to save his brother. His episodic adventures make for very enjoyable reading. Antsy Bonano is back and full of life lessons, schemes and comedy! When classmate Gunnar Umlaut announces that he only has 6 months to live, Antsy writes up a contract to give him one month of his own life, causing a school-wide fad and giving new meaning to "living on borrowed time." Oyuna has been overprotected and warned about bringing bad luck on her nomadic village ever since her foot was crushed by a horse. When Kublai Khan's soldiers commandeer her beautiful white horse, Oyuna disguises herself as a boy to stay with her. Alone in 14th century Mongolia, Oyuna must find her own path and her own luck. In this grown-up counterpart to Diary of a Wimpy Kid, the poignancy of Junior's difficult decision to leave his rez school and attend a far-away all-white school is balanced by humor, a diary format, and cartoons. A National Book Award and Boston Globe-Horn Book Award winner. For fans of The Hunger Games and the His Dark Materials series, this is an intense novel set in the distant future with a corrupt government in power. Four teens bust out of a dismal boarding school and join the rebellion against the government. An engrossing story told through many perspectives. One of my all-time favorites! Ignored by her socialite parents and her only-average peers, clever, unconventional Harriet spies on her neighbors and records her observations in a notebook. Havoc ensues when her notes are discovered. 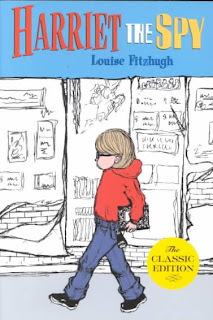 This is a subtly witty story of a gifted child relatable to any reader. We'll eat you up, we love you so! The whole round-up of the fourth year's entries in their annual "Peep Show" diorama contest is definitely worth a look. The winner was this interpretation of the Pixar movie Up, entitled "Eep!" But EVEN BETTER (I know, it better be spectacular to beat out a Peep Where the Wild Things Are), the Washington Post reports that J.K. Rowling's considering more Harry Potter books! Apparently, at the Easter Egg Roll at the White House, JKR said she may write more Harry sequels "maybe 10 years from now" and other, non-Harry books in the "not-too-distant future." I, for one, am willing to wait! In the meantime, listen to Hank Green's (brother of Looking for Alaska author John Green) song "Book 8" and giggle.